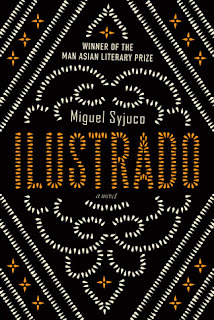 THE WRITER Miguel Syjuco was unknown to me before he had won the 2008 Man Asia Literary Prize. Since then I've been hearing a lot about his book Ilustrado, having seen it many times displayed in local bookstores, its singular presence a reminder of how rare serious novelists are in the Philippines. Wasn't it the writer Butch Dalisay who said that Filipino writers can't be taken seriously in the international arena unless they publish novels? Naturally I was curious as to what Ilustrado was all about. If you care to remember your Philippine history (and I still do, in a way, thanks to Mr. Mario Madrero, my high school history teacher), ilustrado was a term used during Spanish colonial times to refer to the enlightened; i.e., people from the society's upper middle class who were privileged enough to study in Europe. 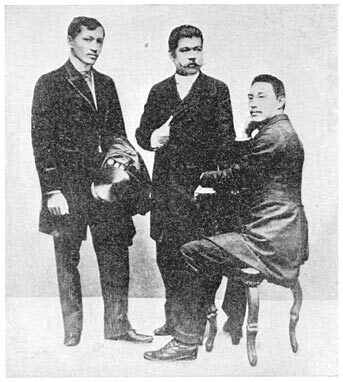 Our heroes José Rizal, Marcelo H. del Pilar at Mariano Ponce belonged to such a category. As with all books, I had a few expectations: first, that the book would feature distinctly Filipino culture; second, that the writing would be excellent. So there I was again, taking a break from re-reading DeMyer's The Neurologic Examination and mindlessly starting on a novel in the middle of a two-week rotation. To my mind, I was contributing to the advancement of modern Philippine literature. I was, after all, reading one of our very own. Needless to say, my review of the spinothalamic pathway took a backseat for a time. A dead body floating in the Hudson River opens the story. The body is Crispin Salvador's, a Filipino writer based in New York. Mystery shrouds the circumstances of his death. His young friend Miguel Syjuco, a character the author named after himself (and I don't know why), believes that the only way to know how and why Crispin died is by looking for the missing parts of the novel Crispin has spent so much time on. The novel entitled The Bridges Ablaze is believed to be an exposé of corrupt government officials and their cohorts. Miguel flies back to the Philippines to make sense of his mentor's death, possibly to even write Crispin's biography. Miguel's journey opens up a story in itself: his choice to pursue his dreams of becoming a writer in the US, to the disappointment of his wealthy grandfather who wants him to get into politics; his girlfriend Madison who had all sorts of crazy ideas; his estrangement from his powerful family. Miguel's search for the missing manuscript paves the way for his own self discovery. A separate, although related, story emerges, as well—the life of Crispin Salvador. Crispin was born to a family of hacienderos in Bacolod; the family's wealth stemmed from a successful zipper company in Panay. Who used to be a promising writer became the most hated literary figure in the Philippines after he lambasted Manila's elite literary circles during his awarding ceremony speech. His life was eventful. He joined the leftist movement, fell in love with many women, had a love child, wrote for newspapers, got kicked out of them, and then flew to the States. Interspersed between these two main interrelated stories are hilarious anecdotes, vignettes, and character sketches—precisely the reason why experts call the novel a bricolage. I enjoyed the book thoroughly because it felt good to read about my country for a change. Miguel Syjuco's descriptions of people and places struck a cord of familiarity and warmth, and many times I wondered, "He's right, but I never thought of plane rides that way before." To see the Philippines in a different light was refreshing to me, and I realized, corny as this may sound, that there's no place like home. Consider, for example, this narrative of Miguel's plane ride back to Manila. The author hits it right on spot. These are my people ... Beside me, a stocky, sturdy man in an acid-wash denim jacket and a slipping eyeshade, his head thrown back to snore efficaciously. Likely a construction worker, one of the millions-strong diaspora indentured by the persuasiveness of dreams. To my other side, two older ladies, sisters by the look of them fidget and flip through the inflight magazine for the sixteenth time. Their inflatable pillows around their necks remind me of yokes on water buffalo, if that's not too obvious a metaphor. One has a rosary wrapped around one hand. With the other, she turns the pages to the photographs. Her sister complains she's going too fast. Across the aisle, a petite Filipina with towering shoes rests her blond head on the shoulder of a Texas-big American, his glasses low on his wedgelike nose, reading Dale Carnegie in a pool of light. A snake-and dagger tattoo slithers up his forearm. You may find the novel slow and dragging in the middle, but the anecdotes—especially about the students from Ateneo, La Salle, and AMA Computer College—were too funny to resist. Do wait for the ending: it will surprise you and make you wonder if all the things you had read before really made sense. If you know what I mean. 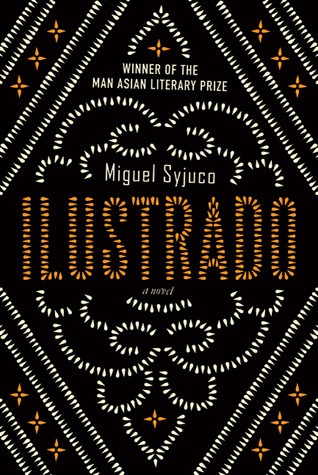 In Ilustrado, Miguel Syjuco has showed so much promise. He has a mastery of prose, a natural command of the English language, an eye for details, and a skill in finding the right words and descriptions to make them palpable in the readers' minds. I can't wait for his next novel.